Here’s another from Ms. Welch. I never tire of these songs. I first came across Gillian via. her involvement in the Coen brothers film, O Brother Where Art Thou. The film, and more particularly the soundtrack album, was my country music epiphany, and from that I’ve gone on to discover and love a whole host of country-related music. But that soundtrack really opened my eye and ears, as I think it did for a lot of others. Gillian was involved in a couple of songs on that record, collaborating with Alison Krauss and Emmylou Harris, a combination made in heaven if ever there was one. The soundtrack, masterminded by the ubiquitous T-Bone Burnett, had a particular old-time (the film is set in the 1930s) take on country, and Gillian was custom-made for that job. Despite being born in 1960s New York, and spending much of her life growing up in Los Angeles, her music feels as old as the hills, stripped back, acoustic, shamelessly drawing on the spirit of early 20th century rural American music. As such, her authenticity has been questioned, but in my mind she inhabits the world these songs as fully as anyone. The songs, and the performances (usually with collaborator David Rawlings) ring true, and if you’ve ever seen her in performance you’ll know that these are from the heart. Anyway. 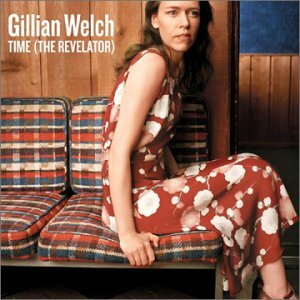 This some comes from Gillian’s 3rd album, Time (The Revelator), which was my introduction proper to Gillian’s music. It’s a languid, slow-burning song, befitting it’s subject matter. Focussing on the somewhat disastrours experience of a somewhat down-at-heel “rock and roll band”, those events get put into some kind of context by reference to a series of historical disasters that coincidently all happened on the same day – April 14th. In 1865 the assassination of Abraham Lincoln (the “Great Emancipator”) by John Wilkes Booth, in 1912 the sinking of the Titanic after striking an iceberg, and in 1935 “Black Sunday” – the worst dust bowl storm ever, resulting in the residents of the region fleeing for other areas (many went to California). And if that is not enough, the album also includes a “(Part 2)” in the song Ruination Day, which continues these themes in a similar bleak style. So no, not the cheeriest of songs! But a great one nonetheless. So here’s the song sheet. Nothing complicated in the basics here – the song itself is sparse, so take this as a starting point and do what you want with it. Enjoy! Categories: Country, Singer-Songwriter | Tags: 2000s, 2001, Country, Gillian Welch, Singer-Songwriter, ukulele | Permalink. A little while back I said that Gillian Welch might pop up quite regularly on this blog. To date she’s only appeared the once, and so it’s about time I put that right. As I said on that first post, I do so love the music that Gillian Welch makes. Every time I come back to it there’s something warm and welcoming about it that wraps you up and holds you in its arms. That’s not to say this is bland, escapist stuff – there’s plenty of heartache, pain and tragedy sprinkled across these songs of hers, but there is something in these songs that leaves me with a sense of peace and contentment. I guess there was probably a time when I would have thought that was a bad thing. But right now I think that is a wonderful gift to give anybody. Edgy has its time and place, but sometimes you just want to be hugged, and Gillian’s songs do that for me. “Look At Miss Ohio” is another song from her 2003 album “Soul Journey“. If truth be known it’s probably my least favourite of all her albums (in part due to the more band-oriented sound), but that is just a relative judgement. 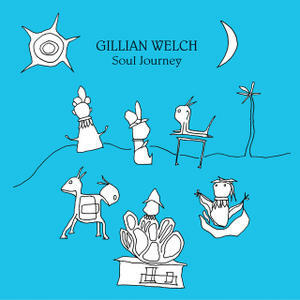 Gillian has never made a bad record, and there are some wonderful songs on Soul Journey. 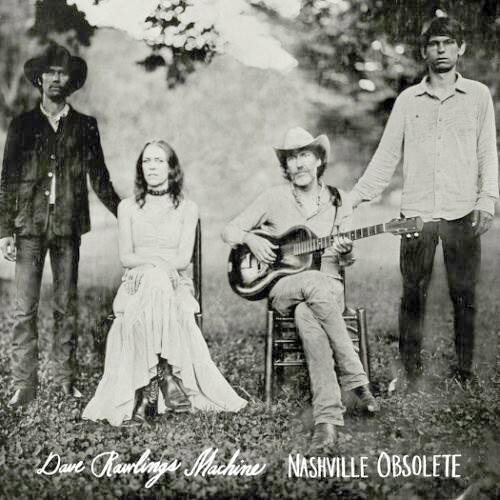 Whereas No One Knows My Name has more of an upbeat, bluegrass-y feel to it, Look At Miss Ohio falls into my favourite category of Gillian Welch songs – the slowburners. Those gentle, repetative, almost trance-like songs that are just *so* gorgeous. She took this to a mighty extreme on 2001’s Time (The Revelator) with the track I Dream A Highway – 14 and a half minutes of pure bliss, and when it ends it just feels like too soon. That song could go on forever as far as I’m concerned! Lok At Miss Ohio is a song about a girl who might want to settle down at some point, but wants to live, to have some fun, before she does that. Who wants to do right, but not right now. Personally I’m many years the other side of that particular dilema, but it still rings a chord, and maybe a little ache inside about not having done so as much as maybe I should have. It’s a gorgeous song, as this live acoustic version from St Lukes in London shows – just Gillian and constant musical companion Dave Rawlings. And so to the song sheet. Quite straightforward for chords, although the instrumental interludes throw in one or two unusual chords. Not much more to say, to be honest – just sing and enjoy!